You Dont Actually Need A Disinfectant! We have been educated to think that we need to kill ALL the germs, viruses, and bacteria on our household surfaces, so we use products designed to do just that. Many of these products though, are overkill, and made with chemicals that can cause the same problem as overuse of antibiotics – superbug overgrowth – according to the Tufts University School of Medicine. Superbugs are pernicious bacteria that are resistant to antibiotics. Children, the sick or elderly are particularly susceptible to superbugs, but they are bad news everywhere. In the U.S. a product can only be labeled as a disinfectant, antibiotic, or antimicrobial agent only after it is registered as a pesticide with the EPA! 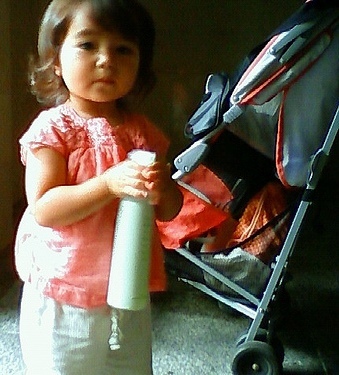 Disinfectants have been linked to health problems as well. A recent study highlighted concerns that nurses who were regularly exposed to cleaning products and disinfectants shared a significantly increased occurrence of asthma. And some antimicrobial agents commonly used in products like antibacterial hand soaps are suspected endocrine disruptors and immunotoxins. Check the labels of the cleaning and toiletry products in your home and you will truly be amazed at how many places you find registered antimicrobial ingredients, including even some toothpaste! The EPA recommends washing with soapy water to reduce germs! Just be sure that you are using a real soap, as some products that call themselves soap are actually detergents, which are unlikely to work as well as a real alkaline soap (many detergents are closer to a neutral ph). A good one is Dr. Bronners all natural soap, and it even comes with peppermint or lavender which further enhances germ killing properties (safely). Our professional house cleaning service uses non-toxic, yet highly effective cleaning agents. Clutter can be a major source of stress. It transforms your home from a haven to a reminder of unfinished projects and things that need to be put away. It stands to reason: it is difficult to get the restorative rest you need if where you sleep every night is out-of-order. Fortunately, Gretchen Rubin’s The Happiness Project has an outstanding list of tips to move from chaos to order: 27 Tips for an Orderly Home. Don’t try to incorporate all 27 tips at once. Instead, look over the list and choose 1 to 3 that will make the most impact in your life. Incorporate the tips until they become habits (at least 21 days). Once you are at the point that these habits are second nature, revel in the serenity you experience at home. Want to take your serenity to the next level? Consider having a professional house cleaning service clean your clutter-free home from top to bottom. Your eyes know. Your nose knows. Most anti-bacterial cleaning agents are filled with noxious items. Tufts University research finds that in most cases, over-the-counter disinfectants are unnecessary. The study reports that these cleaners are only necessary in places with high amounts of germs, or in homes where seriously ill people live. Everyone else can probably eliminate most bacteria through proper hygiene such as hand washing. Here are three natural, effective disinfectants. Undiluted distilled white vinegar, which you can easily find in a supermarket, kills 99% of bacteria, 82 % of mold, and 80% of germs. Pour white vinegar into a spray bottle with few drops of tea tree or lavender oil. Spray and don’t rinse. Many experts agree that warm water and soap is effective in getting rid of bacteria. To clean an area, apply warm soapy water, use “elbow grease” to scrub well, and rinse clean. Tea tree oil should never be used full strength – a couple of drops in a spray bottle is probably all you need. Keep the oil in a dark bottle since sunlight can reduce its effectiveness. Search the Internet for “tea tree oil cleaners” to find recipes. In addition to being much less irritating, these natural cleaners have the added benefit of costing much less than the ones you buy in the store. Of course, we use all natural, non-toxic cleaners when we clean our clients’ homes. Shaklee is one of our favorite product lines. 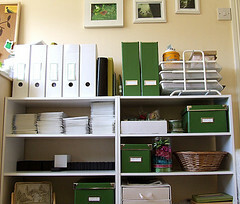 Does NOT Getting Organized Lead to Less Clutter? I was initially attracted to this post on the Happiness Project blog because of the title: A Secret to Happiness: Don’t Get Organized. It seems counter-intuitive, but once you read the article you will know how not getting organized will lead to a clutter-free home.